Kids see dads as indispensable and don’t believe they cry — even at sad movies. Dads live as resilient heroes in their kids’ minds, naturally protected by a protective force field. Sometimes as wives, we feel exactly like that about our husbands, too. Co-dads played by Wahlberg (Dusty) and Ferrell (Brad) find their new found partnership put to the test when Dusty’s old-school, macho Dad (Mel Gibson) and Brad’s ultra-affectionate and emotional Dad (John Lithgow) arrive just in time to throw the holiday into complete chaos — with the best of intentions, of course. 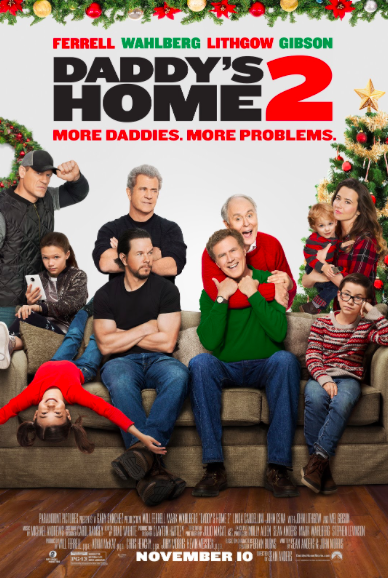 Daddy’s Home 2, in theaters November 10, brings together Will Ferrell, Mark Wahlberg, Linda Cardellini, John Cena, John Lithgow and Mel Gibson in the sequel to the 2015 blockbuster Daddy’s Home. Father and stepfather, Dusty (Mark Wahlberg) and Brad (Will Ferrell) make a huge effort at a “Together Christmas” with their kids including the extended families too!. The Together Christmas is successful in that the adults are forced to set aside their differences, and to work together to care for their children. It gets complicated due to a generational gap and how the dads are taught to display affection amongst one another. But overall the families on screen and off learn a great deal from one another. 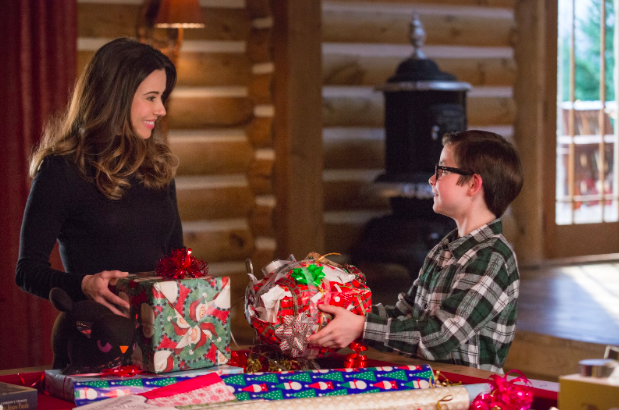 At the Daddy’s Home 2 press junket, we got a chance to chat with chief Mom, Linda Cardellini about getting the call for the sequel, mom’s getting along for the sake of the kids and Christmas Traditions. Q: When did you hear that there was going to be a sequel and what was your reaction? Linda Cardellini: Originally I thought, there could never be a sequel to this movie. I mean how? Then I got a phone call from Sean Anders (writer/director) saying we’re thinking about doing a sequel and we’re going to introduce grandpas. So there will be even more dads, and Sara is going to have this thing with Karen where she feels like she’s always talking about her or writing about her. And then I got really excited! Q: Daddy’s Home 2 is the only film to deal with the challenges of co-parenting from the dad’s point of view. What moments/messages did you find exceptional in the film. LC: The first film was more about of having to get it together for the kids and by the second movie we realize that co-parenting amongst the dads is going really well. And then we’re all shocked when our daughter gets up there and says she hates to separate for the Christmases. That was a revelation for us as parents that we think everything is going along fine and maybe it’s not ok. So the “together Christmas” sounds like a great idea, even though it’s difficult we can do it, put everybody under the same roof. Q: I loved how you and Karen (Alessandra Ambrosio) weren’t fighting. LC: That was very important to me that we (the moms) were not competing over looks, or husbands or anything like that. I really wanted to make sure that it was about our kids. It was really about Sarah’s anxiety and wondering if she was a good parent and also the idea that you have to contend with different parenting styles. Karen thought it was ok for her daughter to have a little bit of alcoholic egg nogg and it was Sarah’s nightmare. She’s not a bad person, but their skill sets are quite different. Q: How did you all handle the underage drinking scene on the set? A: There was absolutely no underage drinking on the set. The kids who play Scarlett, Owen and Dee Dee, their parents were there, and they are great. The kids are super sweet and really talented and professional. Scarlett’s scene where she’s supposedly intoxicated was nervous. She didn’t know how to play those things necessarily, because the kids had never been intoxicated before. That speaks to what great actors they are. Their parents were right there with them the entire time. During her line delivery Will was throwing improve lines at her and John Cena would say, now say this. She was so good at following their lead. She was very sweet. Q: Can you talk about being an ok mom or letting go of what others think? LC: I think I’m still finding that as a parent. I’m a working mom, so that is an interesting balance all the time. I had to work on Halloween and had to facetime in between. But I felt it the worst. It’s hard to tell what’s hardest on me and what’s hardest on the child. Just when you think you have a handle on it, something throws you a curve ball and suddenly I know nothing again. For instance, “The Talk”, you think, before kids, that you will know exactly what to say and that you’re going to be different from your own parents and so open. Then when the time comes when it’s actually time to address certain things, it’s harder than you imagined. And I don’t think anyone has it all nailed down. That’s the good thing about school is that you are around other parents that it’s ok to say, how are you handling this certain situation? School is good for the kids and the parents. You can get ideas from one another. Q: What sort of traditions does your family have with the holidays? LC: We’re coming up with new traditions. We’ve traveled a lot and before having kids the most important thing was making sure that I was home with my parents and carrying on those traditions I’ve had for so many years. Now that I have my own daughter we are trying to invent things that we can take with us, since we travel quite a bit. We’ve decided that no matter where we are if there is some kind of Christmas tree, whether it’s real or fake or if we have to cut it out of wrapping paper and put it on the door, so that Santa can find us while we are on the road. 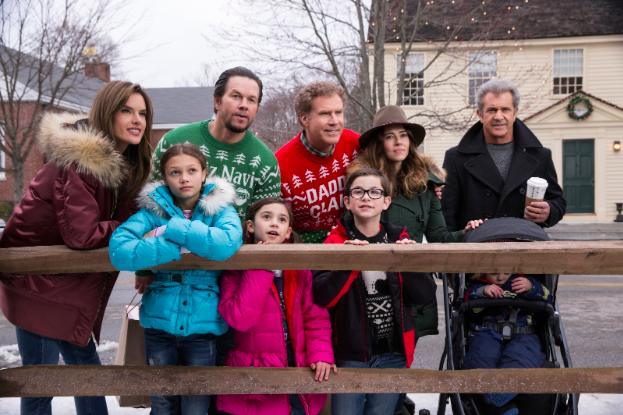 Daddy’s Home 2 opened in theaters on November 10 — just in time for the holidays. The film discusses some sensitive topics, but I still consider it very family friendly. Daddy’s Home 2 provides plenty of laughter for all. Thank you to Selena Hughes for attending the Daddy’s Home 2 press junket and sharing her thoughts by contributing this post as a guest writer.